How Do I Compare FSTMX to VTSMX? A mutual fund pools money from a large number of investors and buys stocks from a large number of companies. Investing in mutual funds does not have the same level of high return as investing in stocks does, but it carries significantly less risk. Risk and return for a mutual fund depends on the type of fund. Small-capitalization funds typically own stocks of companies with less than $1 billion in market capitalization. These funds can generate high returns but at high risk. Mid-cap funds invest in companies with median capitalization between $1 billion and $8 billion. Large-cap funds invest in companies with market capitalization of $8 billion or more. These funds tend to focus on income from dividends, which can mean a stable if not spectacular return. Value funds invest in stocks that are undervalued, while growth funds invest in stocks that have high potential to grow. Value and growth funds tend be associated with higher returns and higher risk, compared with other types of funds, such as balanced funds, which contain both stocks and bonds. An example of large-cap index funds is the Vanguard 500 Index fund, which invests in companies in the Standard & Poor's 500 Index. 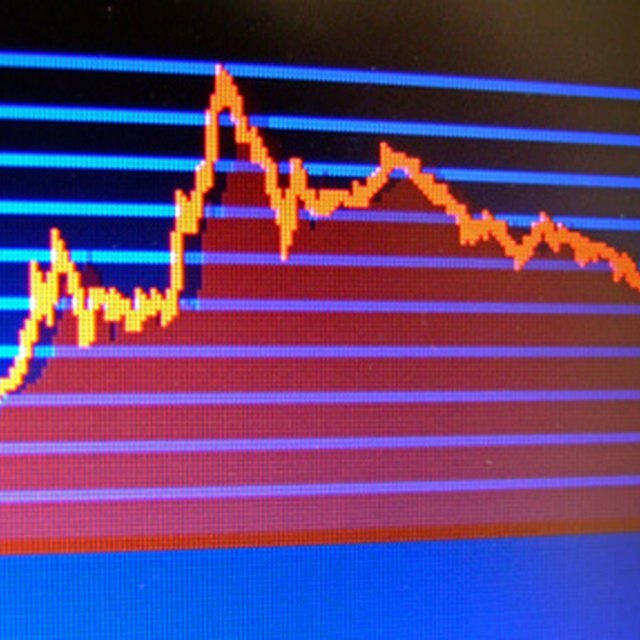 The performance of the fund will mimic its index's performance. This type of fund is appropriate for long-term investment, with small short-term returns but stable long-term growth. What Is a Broad Market Index Fund? A mutual fund's fact sheet often contains information on risk versus return as represented by four statistics: alpha, beta, standard deviation and the Sharpe Ratio. Beta indicates a fund's past price volatility in relation to a standard stock market index, like the S&P 500. Beta typically ranges between 0.85 to 1.05 for stock funds. Other, more aggressive funds might have higher values of beta. Alpha measures the fund's expected return based on its beta. A positive alpha means a fund returns more than what is expected, given its beta. A negative alpha indicates that the fund returns less than expected, based on the beta. The Sharpe Ratio measures risk-adjusted performance. The higher the ratio, the better. Standard deviation measures the variability of actual returns in comparison with historical data. The higher the standard deviation, the more volatile the fund. There are many risks associated with investing in mutual funds, which must be taken into account when choosing a fund. The stock market tends to move in cycles, and if the market declines, there is a good chance the value of your fund will drop too. Funds that invest in foreign stock markets, such as Vanguard Emerging Markets, tend to be riskier than funds based on the U.S. market. Other types of risks involve the political and economic conditions in countries where the fund invests, currency risk, income risk, manager risk and inflation risk. A diversified mix of mutual funds reduces risk. In his book "New Guide to Financial Independence," Charles Schwab recommends a mixture of growth funds, income funds, international funds and, most important, index funds. In any given year, only one in five mutual funds outperforms the market, while index funds aim to match the market. If you do not want to deal with the risks associated with mutual funds, you can choose money market funds, which have a stable share price, unlike a stock or bond mutual fund. Your return will be much less than what you can expect from mutual funds, but your risk is minimized. Dr. Tuan Dinh has 10 years of experience in writing and publishing in science and medicine. He obtained a Ph.D. degree in chemical engineering from University of California, Santa Barbara and a Master of Science degree in mechanical engineering/nuclear engineering from Royal Institute of Technology, Stockholm, Sweden.